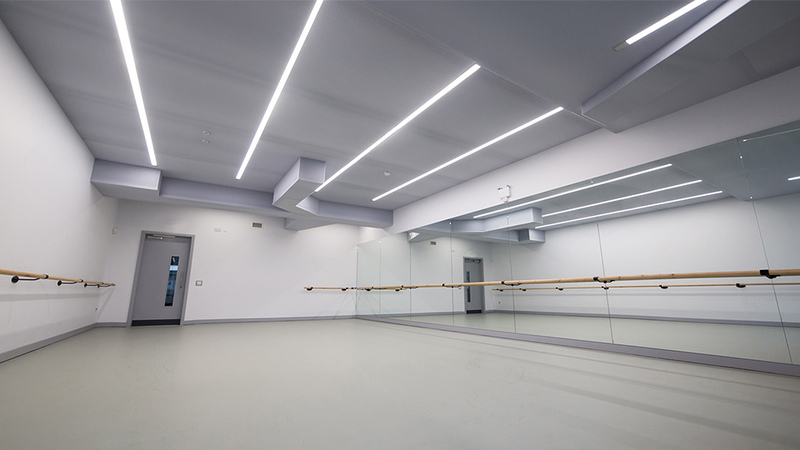 Urdang Academy is no place for wallflowers: it encourages bold, brave individuality among its diverse range of performing arts students. 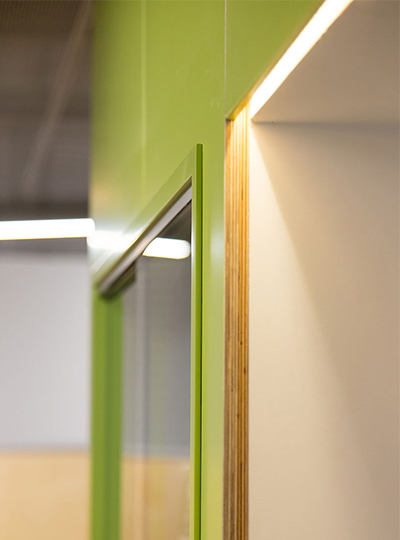 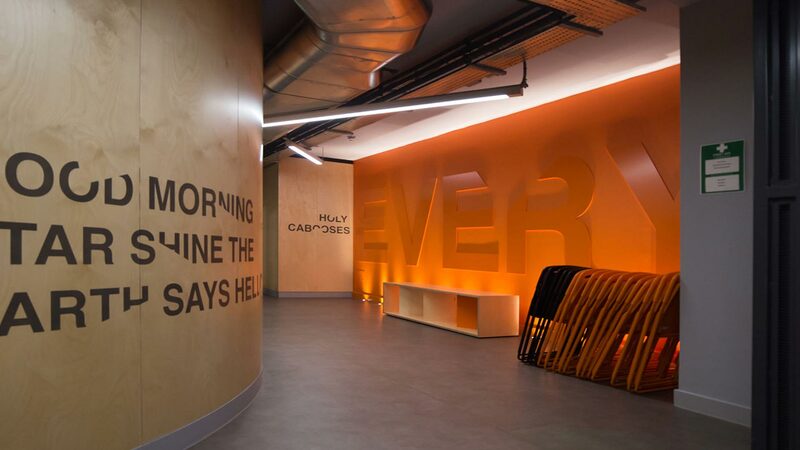 When it added a new building with cutting-edge training facilities, we were invited to design an architectural lighting design scheme that would represent the school’s “Everyone Individual” ethos and edgy, vibrant brand. 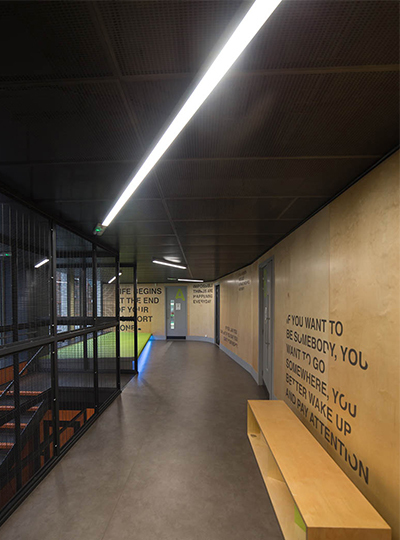 Our solution highlights the raw, urban and industrial nature of the materials used inside the school, and simultaneously tips a hat to the musicality of its students. In the corridors, for example, we laid out an irregular display of fluorescent luminaires and spotlights to convey the punctuation of dance and give the sense that people are moving fluidly through the space. 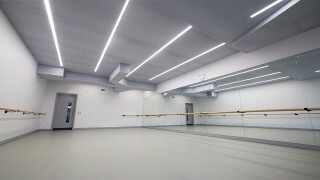 An important part of the design brief was to keep the lighting installation and maintenance costs low, and to use durable fixtures that would survive the lively, prone-to-leaping-into-things students. 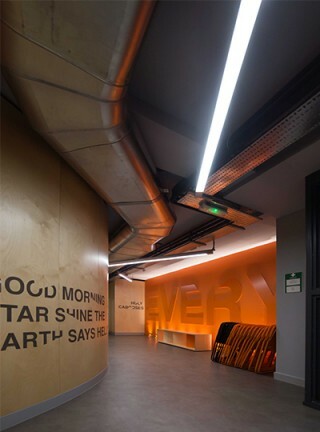 As a result we used low-energy luminaires throughout the building, which are strong enough to withstand even the most excitable performers. 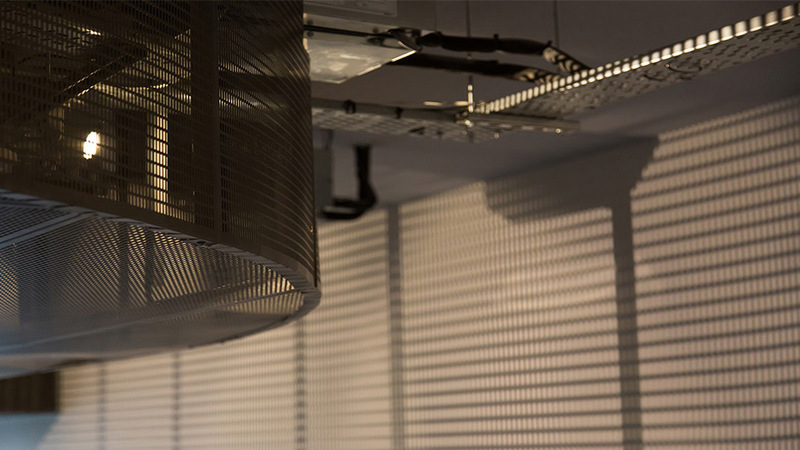 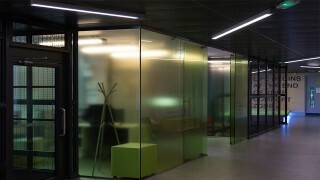 The free flowing, energetic feel that the architectural lighting design scheme creates within the space.